Many Hoosiers have risen to the top of their professions. Singer-songwriter Michael Jackson, basketball player Larry Bird and comedian David Letterman immediately come to mind. In the world of golf design, Indiana resident Pete Dye leads the list. Considered the “father of modern golf course architecture,” Dye has designed nearly 200 golf courses, including some of the country’s premiere 18-hole venues. Indiana is home to more Dye-designed courses than anywhere in the world, with seven of them making up the state’s Pete Dye Golf Trail. From Culver to West Lafayette to Indianapolis to French Lick, the trail offers challenging courses that feature the legendary Dye vision and design. 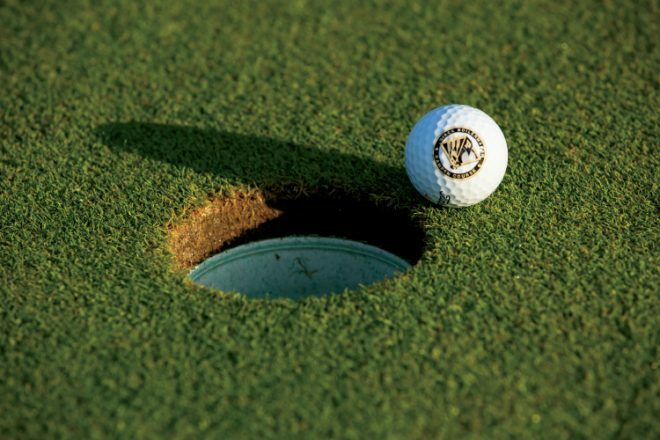 The Ackerman-Allen and Kampen courses on the Purdue University campus are two of them. 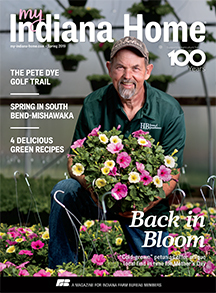 Dan Ross, PGA head professional at Birck Boilermaker Golf Complex, says Dye’s vision ensured that both renovated courses would be challenging and distinctive. The Kampen course, which was renovated in the late 1990s, is another Dye gem. 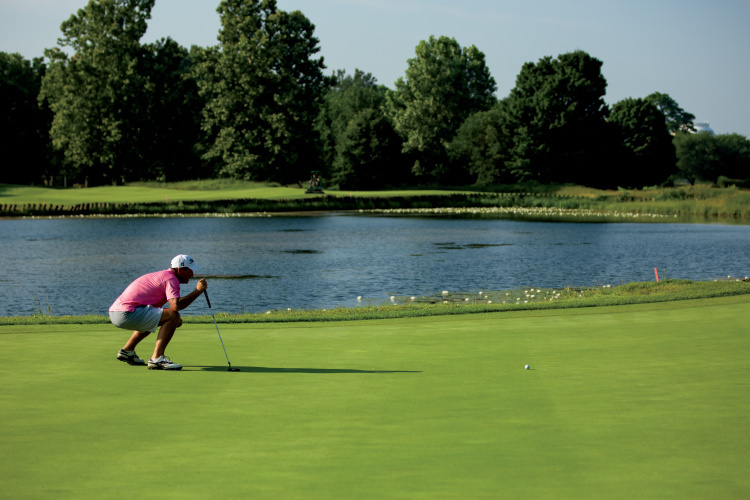 Rated one of the top collegiate courses in the nation, Kampen is more than a golf course. It is a showcase of environmentally friendly design. He explains that these stations are part of environmental studies carried out by Purdue students. Classes also conduct turfgrass research on the course, all of which makes it a living laboratory. At the south end of the trail is the Pete Dye Course at French Lick, which was named the “Best New Course in America” by Golf Digest when it opened in 2009. Adam Myers was lucky enough to be involved in Dye’s vision for the course. 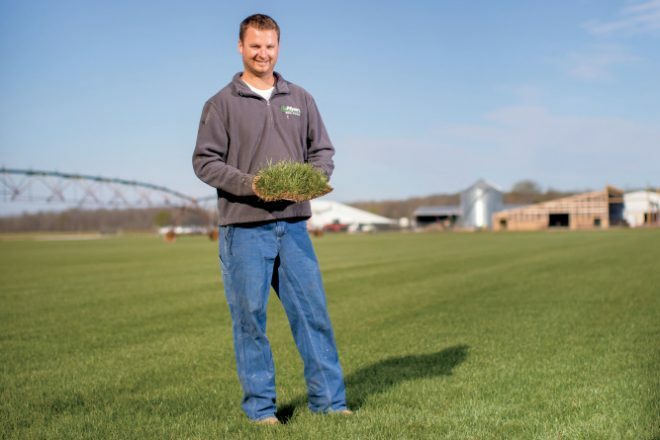 A 2005 Purdue graduate, Myers had bought 60 acres of land as a senior in high school with the hope of being able to start a career in farming. But with no family involved in the industry, Myers began considering what he might be able to grow on his land in Seymour that would not have the high cost of entry associated with row crops. After talking with local landscapers, he came up with a plan. His 60 acres became Myers Sod Farm. His timing could not have been better. A boom in the local homebuilding business meant landscapers were calling with orders for sod for new front and back lawns, and French Lick was calling for sod to surround new fairways and greens. 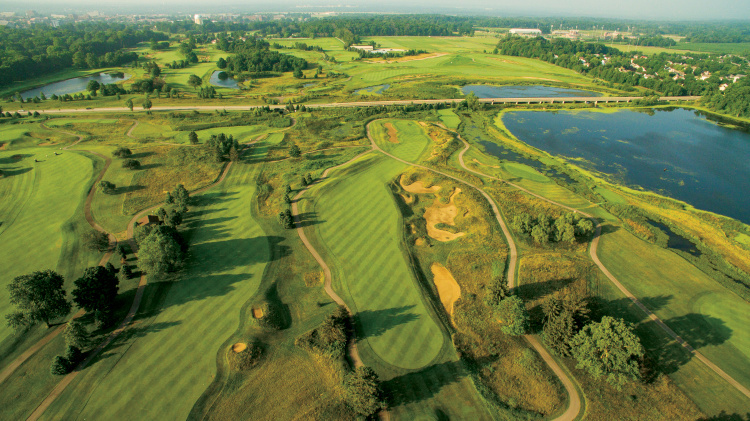 To learn more about the Pete Dye Golf Trail and see all of the Dye-designed courses, visit petedyegolftrail.com. Dye’s vision for the course, which offers 40-mile panoramic views of the Hoosier National Forest, started out as a sketch on a napkin, says Myers. That vision continued to evolve even as the course was being sodded. Where does that vision come from? From years of design experience and a devotion to the game of golf. Pete won the 1958 Indiana State Amateur Championship after a runner-up finish in 1954 and 1955. He also played in the 1957 U.S. Open, where he finished ahead of Arnold Palmer and Jack Nicklaus. Pete isn’t the only championship golfer and visionary designer in the family. His wife, Alice, is considered the “First Lady” of golf. She has won more than 50 titles, including the U.S. Senior Women’s Amateur title, and has worked with Pete on many course designs. 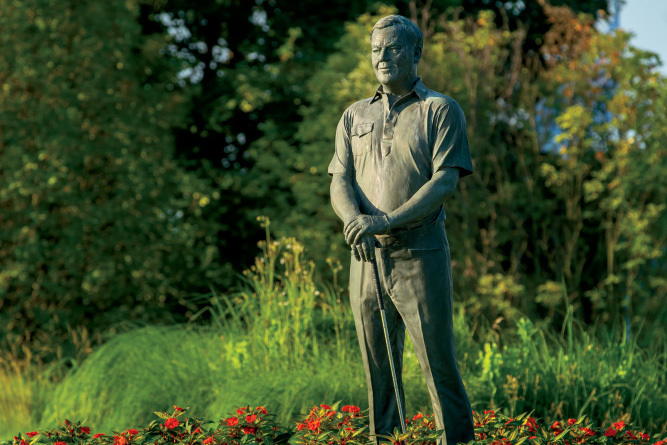 Their contributions to the game are evident across Indiana’s Pete Dye Golf Trail. But for those who haven’t yet picked up the game, there’s another way to experience a Dye course. The Riley Children’s Health Sports Legends Experience at the Children’s Museum of Indianapolis features four 9-hole courses built for a variety of skill levels. Two of the courses include replicas of several of the most famous holes from Dye courses around the world. It’s also a great place to learn more about Pete and Alice Dye’s extraordinary design history.